Get Option form verified from the bank to which you want us to credit your monthly pension. Download Option Form and specimen of Indemnity bond. Once you have obtained Disbursement Portion and verified Option form, submit these two documents alongwith Pension Payment Order (Pension Book) to the PSF Headquarter, Budget & Pension Section, G-5/2, Islamabad. 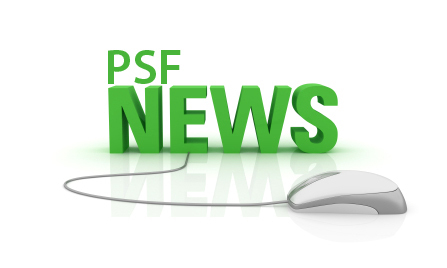 Once PSF has received your case, your monthly pension would be directly credited to your Bank Accounts. Valued Pensioner (PSF, PMNH & PASTIC): You can now receive your monthly pension directly in your bank account specified title of “Pension Account” at any online branches of Commercial banks- no need to send us any pension form. This new facility is not only convenient for our valued clients like you but it also enhances the efficiency of our payment accounting process. Option Form - You need to open a pension specific single account in any scheduled bank of your choice and get this form attested by the bank for verification of your bank account particulars. This is to be sent to us. Indemnity bond - on Rs.20/- (Rupees twenty only) stamp paper, to be attested by notary public and provided to your bank. You will have to return your original pension book to the PSF Headquarter (Finance & Accounts Wing). This is a one-time requirement. After completion of these formalities, your pension will be automatically credited to your bank account. For continuity of your pension you will have to submit a life certificate / Non-Marriage Certificate (in case of widow or daughter) to you on the 10th of January, April, July and October of every year. This is just an internal control measure aimed at ensuring valid pension payments to our valued pensioners. If you wish to visit our Office personally, our Pension Facilitation Center is ready to provide you personalized assistance.